Fergus Linacre, Alex Laska, Jeremy Hunter and Justin Debrincat make up the four-piece rock band from Melbourne – Kingswood. The band has performed at numerous festivals including Splendour In The Grass, Big Day Out, Groovin The Moo and Falls Festivals. In 2014, the band returned from Nashville having recorded their debut album with Grammy Award winning producer Vance Powell (Jack White, Arctic Monkeys, The Ractonteurs). 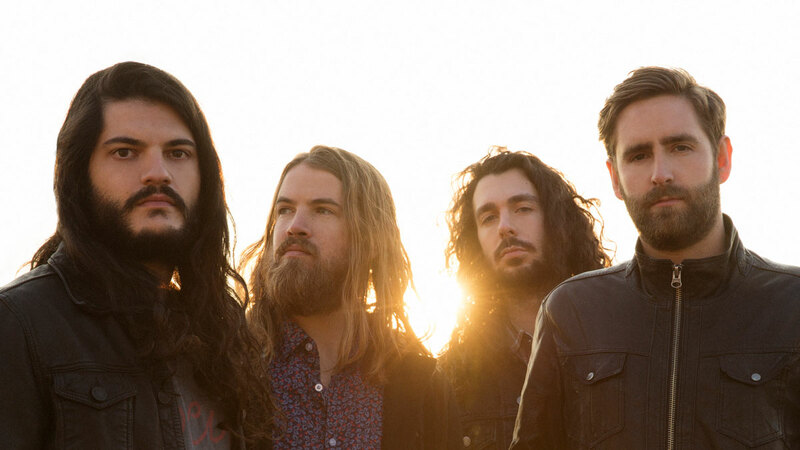 Kingswood’s album ‘Microscopic Wars’ had a top 10 debut in the national ARIA charts at #6 and subsequently went on to receive an ARIA Nomination for ‘Best Rock Album’. Alongside supporting AC/DC on the Australian leg of their Rock or Bust Tour in late 2015, Kingswood is embarking on a few selected headline dates, before releasing their new record this year.